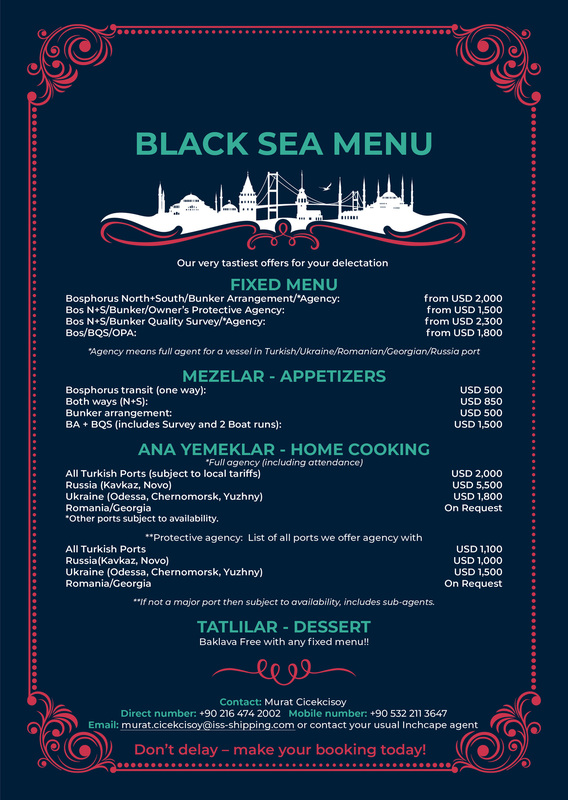 We appreciate that there are a lot of things to think about when loading cargoes in the Black Sea region. So, Inchcape Shipping Services has tried to make life easier for you by offering some ‘Winter Warmer’ set menus of services. You can still choose ‘a la carte’, but why not take operational advantage of our discounted bundles of services? We are waiting to take your orders today! *For certain services, local tariffs apply.